Yeah, I’m busy, thanks for asking. I’ve also got a long list of gifts I’d like to make for my friends and family. It’s that time of year. Fortunately a couple of intensive long term projects , started at the beginning of the year, have just been finished. So instead what do I do? I panic celebrate by making my very first bra. Since, obviously, I really don’t have anything better to do. Bra making first started flirting with me properly at the beginning of the year, when I noticed great examples from Novita and Lauren, coming up in my reader. I responded by buying a few supplies and the Beverley Johnson Craftsy Bra techniques class to keep it happy. You know, that thing you do when you don’t want to say no, but can’t quite say yes either. That didn’t seem to be enough, though, as it continued to stalk me with blog posts like Anne’s. A few weeks ago, in another feeble attempt at procrastination I bought another Beverley Johnson class, on sale (you can get it half price if you use the link – no affiliation!) I then decided I’d plain ignore it, since my other tactics weren’t working. Until last week, when, in the above mentioned weak moment* I dropped my guard momentarily. I really should have seen what was coming, but I just don’t learn. And I’ve fallen hard. Really hard. I just can’t get it out of my head. When I’m chatting with my friends I’m wishing I was with it. I’m permanently distracted and sometimes finding it difficult to sleep. If I’m not googling how to get the best fit or ordering supplies I’m caressing different kinds of tricot lining and sneaking a look at the Craftsy class when my husband isn’t watching. But the bra making is making up for lost time by turning on the cool. It knows it has something, it knows I want it and it’s playing me like a Stradivarius. It point-blank refuses to give me any kind of instant gratification, teasing me with its “almost there” fit then failing to go all the way. I’ve even posted some pictures in the internet that really, just aren’t seemly, all to satisfy it’s urges. I’ve told it the safe word now, in the hope that I can maintain some sense of decorum, at least. 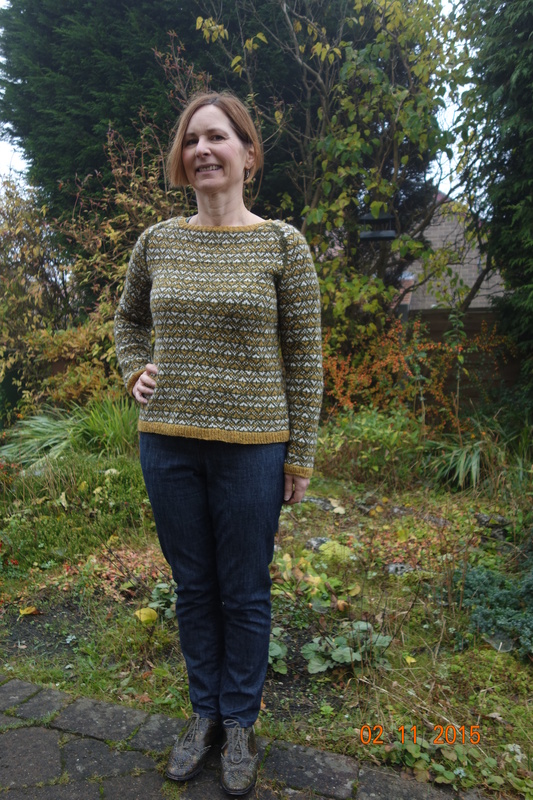 In other news I finished knitting a fair isle jumper, after starting it back in March, although I did take a long break over the Summer months for obvious reasons. I love it! But more importantly I also loved knitting it. 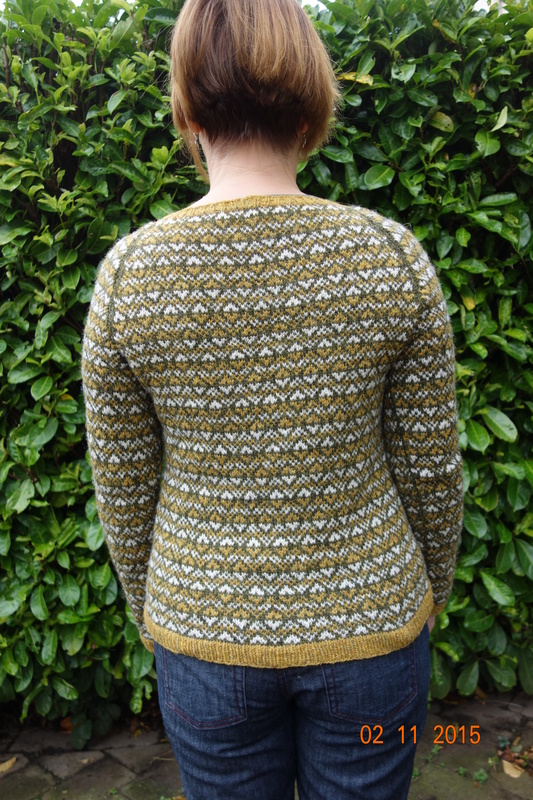 It’s Northdale by Gudrun Johnston and I’ve copied it almost exactly. Here is the link to my Ravelry page if you’re interested. The pattern is fairly simple, and easily memorised. I could do it in all the colours! I’m now on my second bra. 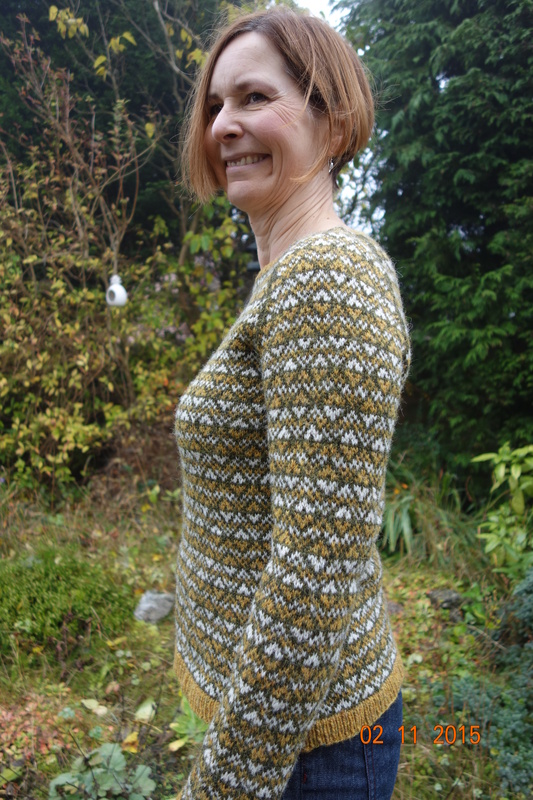 I’m using the Shelley by Pin Up girls pattern. The Craftsy classes are fantastic, I can highly recommend them. Once I get the fit right I’m gonna lower the bridge and upper cup as its a little utilitarian in style. And use those beautiful laces I’ve been saving. And treat it really nice. Because it knows, deep down, I won’t stay interested forever. Now where are those instructions for the knitting machine?